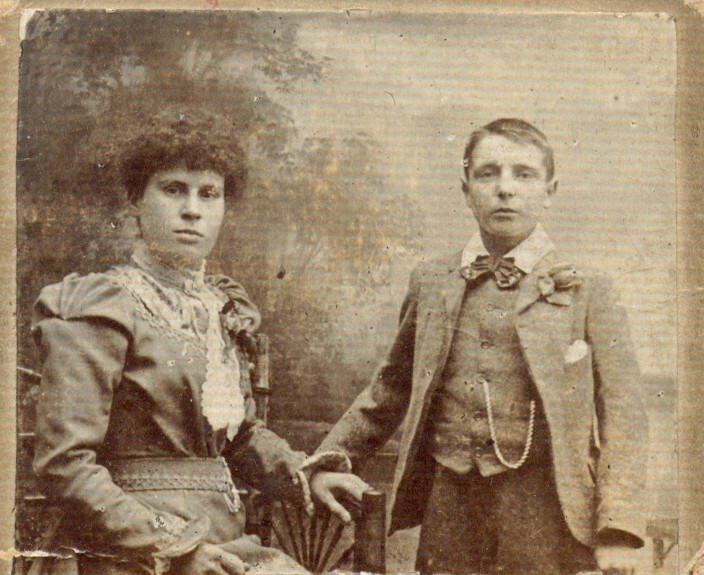 On this page is a family history of the Morgan's the Parson's (Eileens maiden name) and other family members. Eileen's Grandfather was a small man, he took size 3 shoes and would stuff his boots with newspaper,to give the appearance of wearing bigger boots. He had been a jockey in Sussex and then a Groom. He moved to Oakham where he worked for Furley and Hassan Company moving furniture until run over by a steam engine (he spent two years in hospital).He was a remarkable man who was loved by everyone he met. 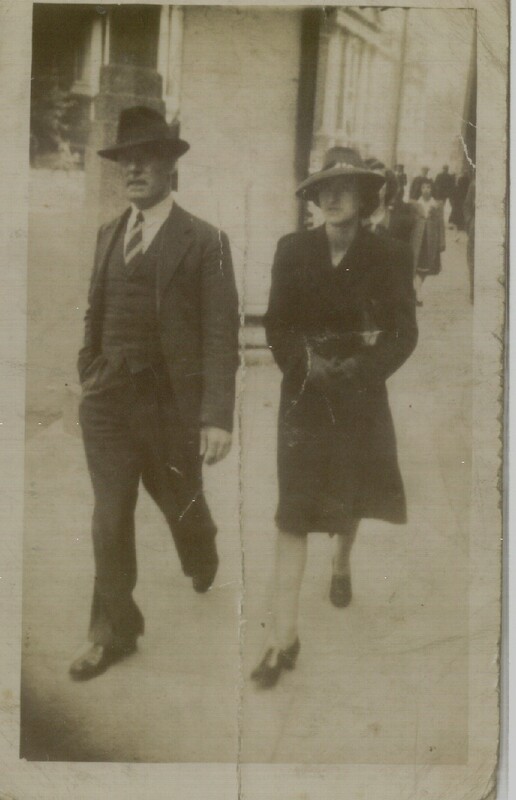 My Grandparents (Morgan), Dublin circa 1920. . The Morgan family had originally come from Dundalk, Co. Louth. They moved to Dublin where my Greatgrandfather (a fearsome man with a long beard who liked nothing better than to fight) owned a Dairy Shop amongst other shops, unfortunately he gambled everything away in the 1920/30s. My Grandfather moved to England in the 1940's to find work, his family followed later. The story goes that he had been offered a job in Dublin, but because he was not a church goer, the priest refused to confirm that he knew him (ironically, my Grandmother was a great church attender).